This little duo has been my go-to for a little while now and I am pretty fond of it. It's the NARS Contour palette in Olympia which is the lighter shades of the two available, it comes with a contour and a highlight. 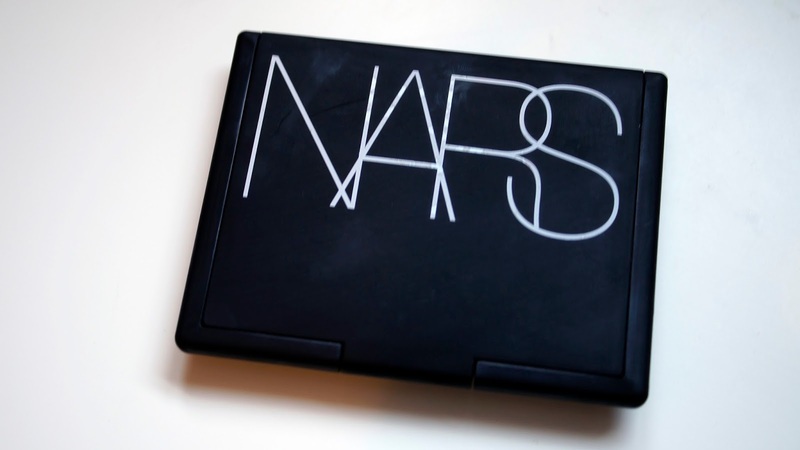 NARS has got to be one of my favourite brands because of their packaging, I love the matte look and feel of it! It's sleek and stylish and looks good in any makeup bag. So here are the shades! 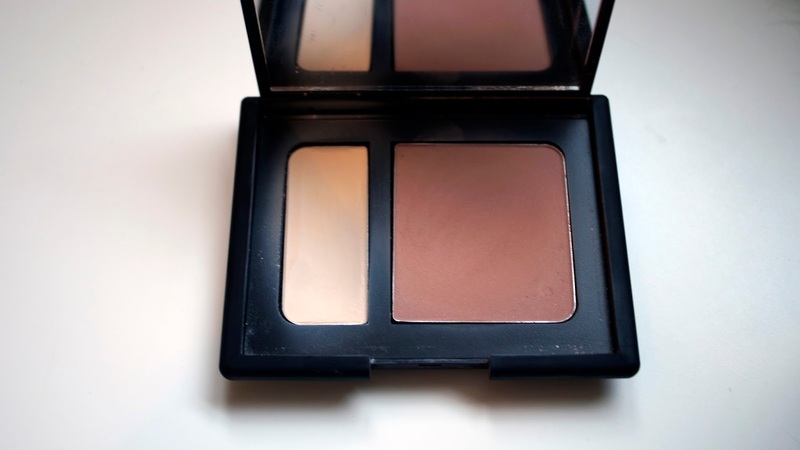 The contour is pretty much the perfect shade for my skin, it looks flawless and blends really well and actually creates a very nice and subtle contour. The highlight however I'm not too keen on. I do still use it every time that I use the contour but the highlight is a matte finish so I'm not too sure I would call it a highlight. My skin is basically that colour or close so it doesn't do much for me except maybe make my skin look more flawless where it's applied. 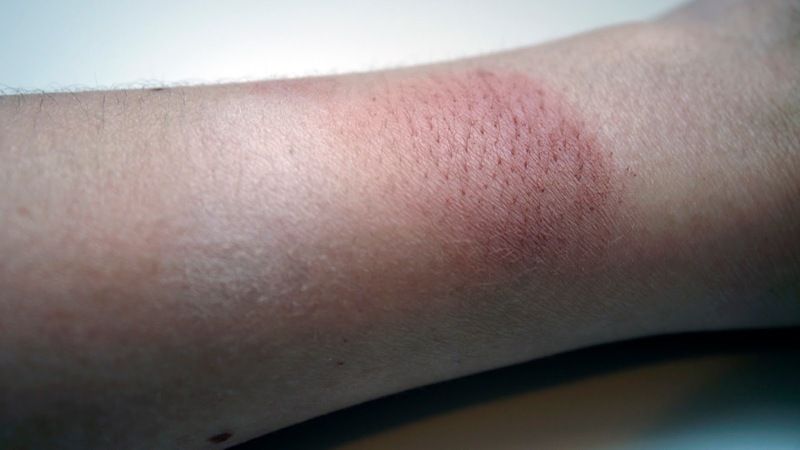 Here are some (regrettably not too clear) photos of swatches. You can really tell here that the contour has a rosy hue to it which is really pleasant and you can see the highlight is a really matte almost white shade which does look super white on my arm but I can assure you it's not that intense when applied to the face! What's your favourite contour palette?